Hey everyone! As the year winds to a close, I thought I’d write a bit about what I’ve done and the obvious follow up to that is where I’m going next. In 2018 I had five published novels, which is what I also managed in 2017. My goal was higher, but I had a few things happen earlier this year, so I think getting those five out was good. Two of those novels were in my Children of Valor series, with the third one being the start of the spin-off Forsaken Valor series. The other two, Dead Train: All Aboard and The Colchis Job were both the starts of new series. Writing-wise, I completed five novels, for a total of four hundred and fifty thousand words written. Which is a lot of writing. As the year winds to a close, I’m close to finishing another book, too, and prepping to start the next one. I’ve also just approved the audiobook version of Valor’s Child and signed the contract to start the next one. The year 2018 has brought some difficulties for my family, with multiple surgeries, the passing away of family, and a lot of stress and strain. I’m very grateful to my readers and I want to thank all of you for reading and enjoying my books. I’ve got a lot more of them planned, so as long as you keep reading, I’ll keep writing. Thanks everyone for reading! 2019, here we come! At this point, there’s 21 days remaining to the year and boy has it been a busy year. I’ll do a blog post around the end of the year as a wrap up, but for now, here’s what’s going on in December. If you hadn’t seen last week’s announcement, Lost Valor, book one of the Forsaken Valor series, comes out on Friday December 14th. I’m finishing Jormungandr’s Venom, the third book of the Fenris/Rising Wolf series this week. I’ve started work on the fifth and final book of the Children of Valor series and my goal is to finish it this month. I’m also working on the next Argonauts book for Chris Kennedy Publishing (4HU). Next month I’ve got a lot going on, so be sure to check back here for more posts and updates! Thanks for reading! It’s November already, jeez, where’d the month go? October is come and gone and it’s been a busy month, with not just one, but two book releases. 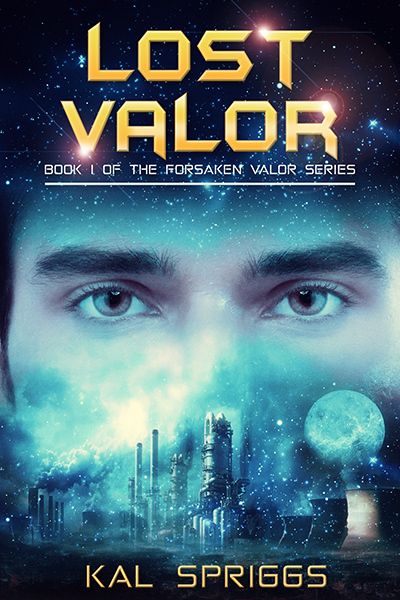 I’m currently putting the final touches on Lost Valor, the first book of my spin-off YA series, Forsaken Valor, which ties directly into the Children of Valor series. I’m also finishing off the last chapters on Jormungandr’s Venom, the third Rising Wolf book (The stories of Fenris, the AI controlled warship). I plan to have those out this month, but I want to see what my beta readers have to say. I’ve started on the sequel to The Colchis Job, which I’ve titled “A Cold Day in Hades.” If things go well, I should have it done soon and off to the beta readers (man, they’re busy). What have I got planned for the rest of the month? I’m writing the fifth and final Children of Valor book, Valor’s Stand. I’m also back to closing out the seventh Shadow Space Chronicles book, The Star Engine (it was The Lost Heir). I hope to have that one out by Christmas, but I’ve got a lot of work to do to get there. So, I’m hoping that November is a two-book publishing month. If I can pull it off, you can expect Lost Valor mid-November and Jormungandr’s Venom sometime after that (though that’s up to the publisher). If I can meet my writing goals this month, it’ll make December a two book month, too. I’m happy to announce that I plan to release the first book from my post-apocalyptic series, Dead Train: All Aboard. This series follows the adventures of a group of survivors in a zombie apocalypse, who are travelling by train as they seek safety. You can expect Dead Train: All Aboard on October 12th. I’m currently mostly done with my latest work in progress, which is titled Lost Valor. Lost Valor is the first book of the spin-off series Forsaken Valor, which is a spin-off of the Children of Valor series. Those of you who read Valor’s Cost can probably guess the identity of the main character. My goal is to finish it up and publish it 26 October. I’m really excited to get this one out, because it’s a very different story-line and set of experiences from the Children of Valor series but just as action-packed. I’m hoping you all will enjoy it just as much as I have writing it. Finishing off the month, I’m putting the finishing touches on book three of the Rising Wolf series. Yes, I’m finally getting back to Melanie and Fenris. This third book closes out the initial story arc and brings their initial arc to a close. What I’m working towards with all three of these series (Children of Valor, Forsaken Valor, and Rising Wolf) is to set the stage for the greater conflict that’s been brewing in the Periphery. I hope to tie all three series to a close and then start a series I’m currently labeling The Colonial War, which will cover a greater conflict involving Drakkus, the Star Guard, Century and other systems. That in turn sets the stage for more events yet to come. Suffice it to say, there’s lots of exploding space-ships in the future of the Star Portal Universe. Closing out October, I plan to start the second Argos book, the sequel to The Colchis Job, to be published with Chris Kennedy Publishing. I expect to finish it sometime in November, so ideally you can expect it late November to early December. After that, it’s the fifth book of the Children of Valor series and the second book of Forsaken Valor. I’ve got a very full plate at the moment, but I also intend to get the seventh book of the Shadow Space Chronicles out as well as to finish the fourth book of the Eoriel Saga. Did I mention I’ve got a lot on my plate?